And I have to admit I was wrong. It’s nice to finally know FOR SURE the answer to the question that every person asks when they find out we have twins. 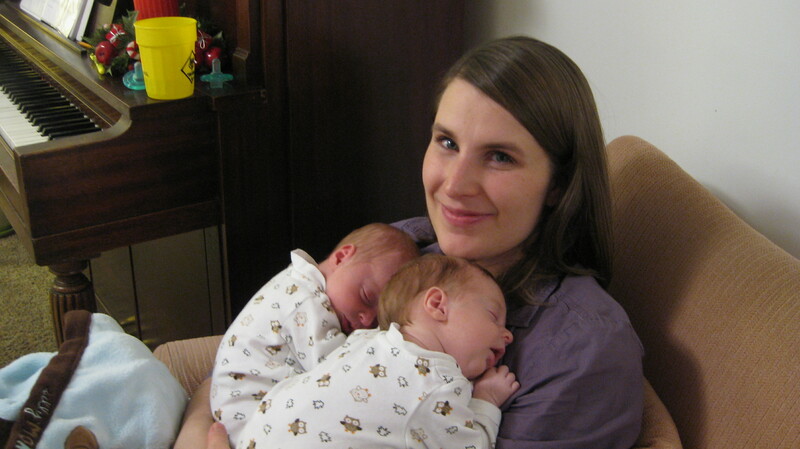 Although Carter and Cooper had their own sacs and placentas during pregnancy, when my placentas were delivered, they were conjoined. 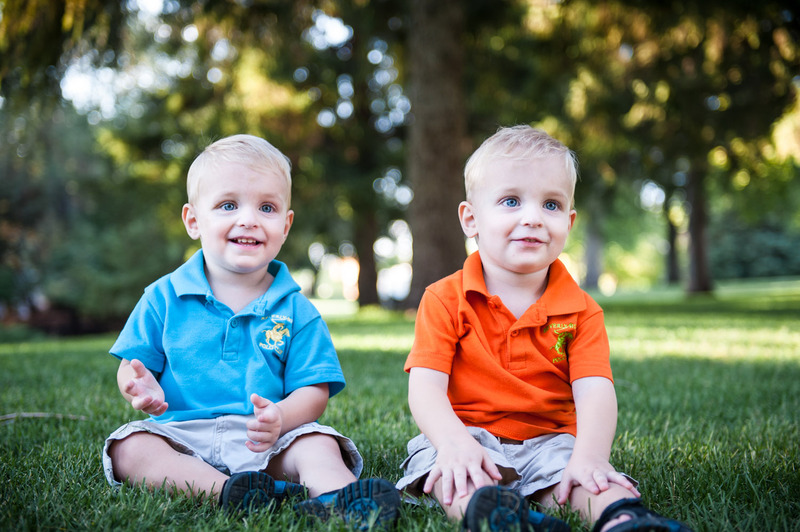 The doc suggested that could be an indication that the boys were identical. Turns out he was right! On my local Mother of Multiples facebook page, a mom mentioned using Proactive Genetics to find out if her boys were identical or fraternal. I looked into it and decided to do it too. Since I got the results by email this morning, I’ve been rereading all I can find about identical twins. 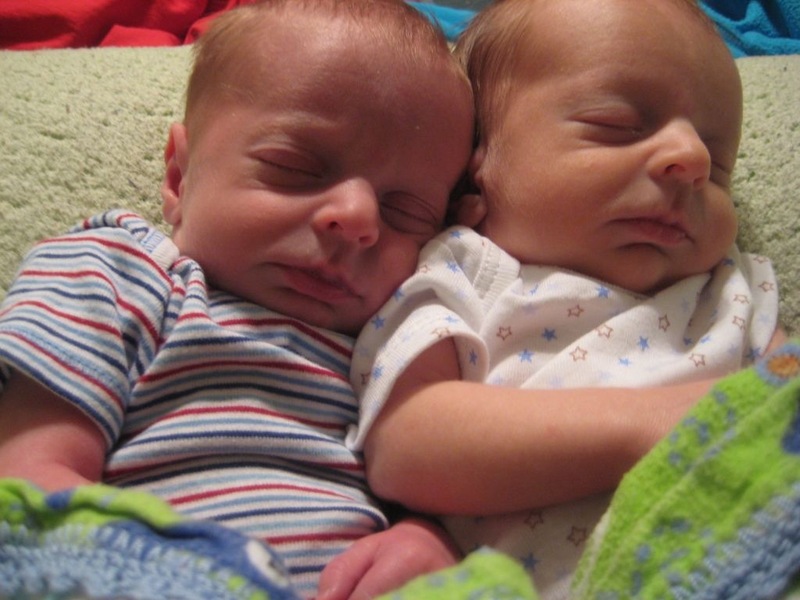 Identical (monozygotic) twins are pretty much exactly the same genetically speaking. The differences we can see between identical twins are due to a) environmental differences (even in the womb they experience different spaces/environments) and b) small mutations in the DNA during fetal development. I have to add that I think a lot of the individuality I see in my boys comes from personality. Their personalities make them LOOK different. I suppose it’s really not possible to SEE personality. Maybe I’m just crazy. Another interesting fact about identical twins is that there is “no known scientific” link to heredity. I have a feeling that even though there is no “known” link, there HAS to be something hereditary about identical twins. My dad’s side of the family has many multiples. His maternal grandmother is a twin who also has a set of twin sisters. His paternal grandmother has a set of (fraternal) twin sisters and one of them had (identical) twins. Not to mention the fact that Derek’s mother is an identical triplet–with other cases of multiples in their not-so-far distant family history. And our story is not the only example! I’ve heard of/known many other families with multiple multiples–identicals included. This is a cool picture of my great-great grandparents and all but one set of their twin grandchildren. (Barbara and Agnes were not twins. Just included on this picture for some reason). 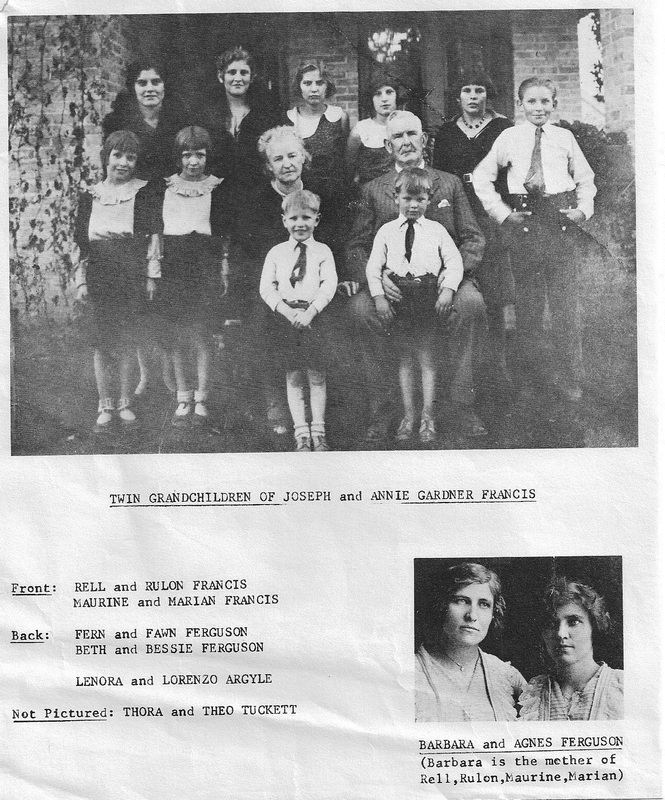 My dad’s grandmother is Fern–back left. Grandma Joanne is also a mirror image of her triplet sisters. Mirror image twins “exhibit characteristics with reversed asymmetry, such as opposite dominant handedness, dental structure, even personality traits connected to right-brain or left-brain dominant individuals.” (Wikipedia) Joanne is a lefty. I have thought on occasion that Carter and Cooper may be mirror image twins. When they first were getting comfortable feeding themselves, Cooper always used his left hand and Carter his right. Now, though, they both use their right hands pretty dominantly. I have also thought their hair parted on different sides but I think Carter’s hair really goes both ways (plus I’m kinda clueless in the hair department). I read somewhere that’s another indication of mirror image. Apparently, there is no test (that I know of) to determine mirror image twins so I guess we’ll figure it out as they grow. I’m so glad that we did this test! It doesn’t change a whole lot about the way we raise the boys or anything but it’s fun to know. It’s a piece of their identity that we’ve been able to discover. Maybe it means more to me than it will for them… but it was worth it to me! My recollection is that mirror image twins have finger prints that are mirror-images of each other. Ask Joanne about that. . .